20 x 30 inches, oil on canvas. 40 x 30 inches, oil on canvas. 20 x 16 inches, oil and gold leaf on canvas. 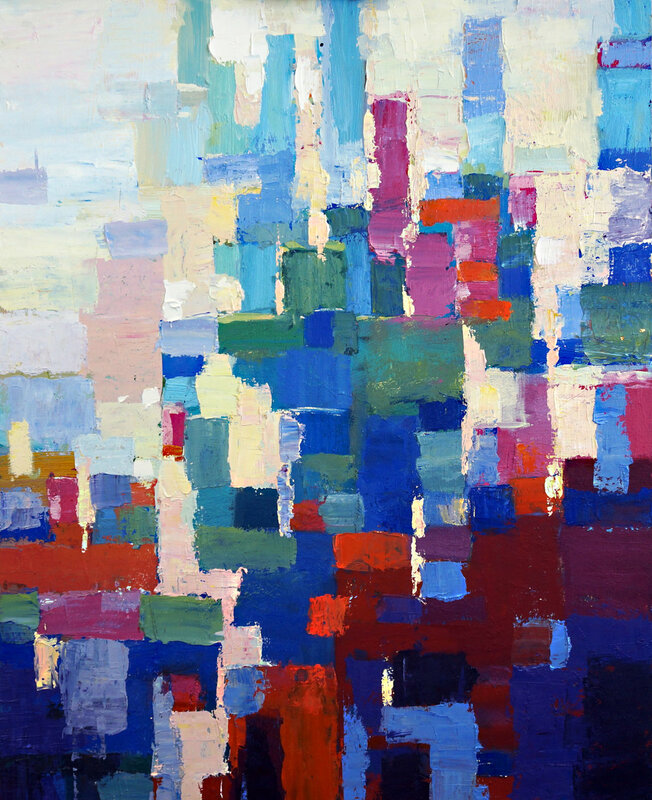 I deconstruct the city landscape into abstract parts and colors. 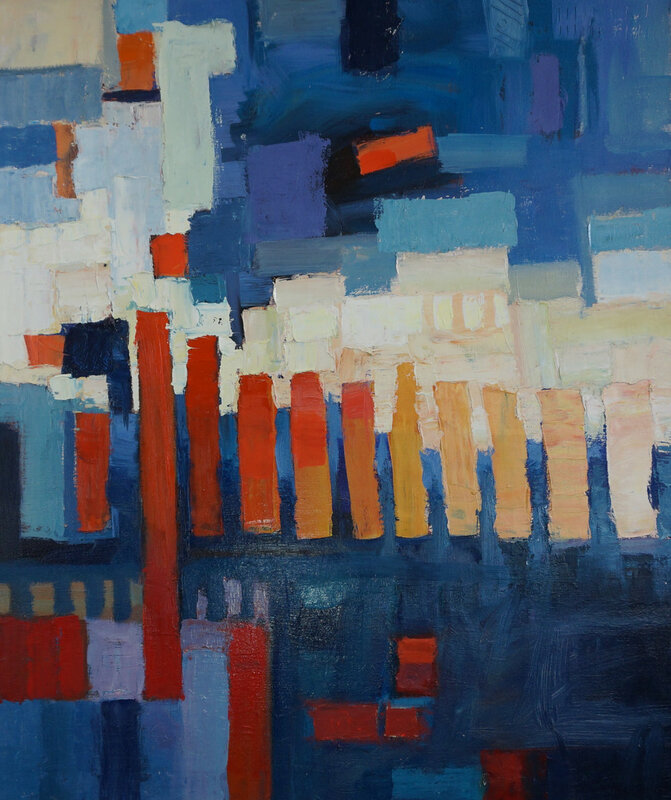 The works are thought experiments in color relationships and composition. Both palette knife and brushes are used to create these paintings, often in combination. Often, these paintings are painted in one orientation and then turned and painted from another viewpoint. Instinct and intuition are driving forces behind these paintings; they are a celebration of the sheer fun of painting.